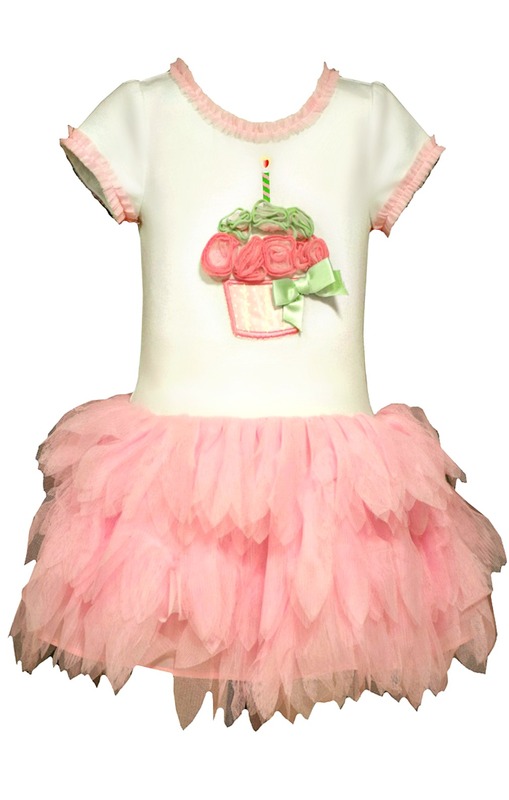 Beautiful 1st Birthday (or second birthday) dress from Bonnie Jean features comfortable stretch knit bodice with pink organza cupcake and tulle layered tutu hemline. Short sleeved. Machine wash. Imported.